This is simply a reminder of some of the basic rules which are commonly broken in Thailand and which Thai Immigration takes a dim view of. The first is covered in Section 37, which states that if you have been granted a temporary stay in Thailand, you are not permitted to take up employment without apply for a Thai Work Permit. The second part of the basic rules is that you have to inform Thai Immigration where you reside at all times. 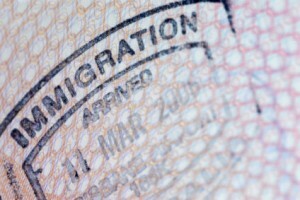 Should you move to a new address, you have to notify Thai Immigration within 24 hours of the move. You must provide the correct address to Thai Immigration when you are in Thailand. The address at which you reside must be the same as the one you gave to immigration. Failing to do this will result in a penalty to a maximum of 5,000 Baht or 200 Baht a day for everyday until your notification has been corrected. Should you move from your current address which Thai Immigration has, you have to report your change of address within 24 hours or face a penalty of 200 Baht a day for every day until it is corrected. Should you stay in Thailand for 90 days, you have to report to Immigration. If you fail to do your 90 day reporting, the penalty is a maximum fine of 5,000 Baht or 200 baht a day until it has been corrected. To be brief, these would more likely than not be the rules most often broken by foreigners in Thailand. Some of the penalties may appear light; however breaking these basic rules would not look good on your record should you apply for either Thai Permanent Residence or a Long Stay Visa to Thailand. If you simply want to extend your visa while in Thailand then you can go to Thai Immigration and the cost is 1,900 Baht for an additional 30 days if you have a tourist visa. Note that a visa on arrival cannot be extended. If you have a marriage visa or retirement visa then this needs to meet certain requirements for the visa to be extended to 1 year. It seems there has been little change to the new Thai immigration rules affecting those who do back to back tourist visas. The only issue are the visa-on-arrival stamps. Has anyone noticed restrictions on the tourist visas that are issued? The concern by many is that the Thai immigration officers are starting to ask questions to those who have entered Thailand consecutively on a tourist visa. But as long as you can prove that you are a bona fide tourist, then there should be no issue in entering Thailand on this visa even when done for multiple times already. Hi! I am a Filipino national and it says we are allowed 30 days in Thailand without a visa. My question is, I am coming to Bangkok from Hanoi on a one-way ticket. My (original) return ticket is Hanoi-Manila and I plan to just reroute it. Will that be a problem? Will I be questioned at the Immigration desk? You will need to show proof that you will no longer be in Thailand before the 30-day entry stamp expires. As long as your ticket is within that 30-day period, it should not be a problem. When changing address from one hotel to another hotel, the hotel is responsible for notifying immigration, taking the onus off the person who has moved. Is that correct? Yes, the hotel should report to immigration within 24 hours of your check in.